Kohala Hospital provides diagnostic radiology. Diagnostic X-ray (radiography) is an examination using electromagnetic energy beams to produce images onto film or computer. 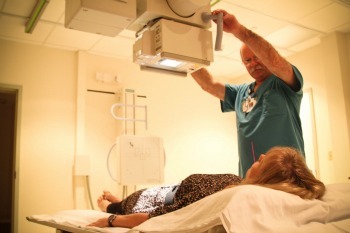 X-rays are performed for various reasons such as diagnosing bone injuries or tumors. Special precautions must be taken with pregnant patients. Exposure to radiation during pregnancy may produce birth defects. Always tell your physician and technologist if you suspect you are pregnant. Kohala Hospital also provides ECG services. ECG is a test that checks the heart’s electrical activity; It can find the cause of unexplained chest pain and the cause of symptoms of heart disease, such as shortness of breath, dizziness, fainting, or rapid, irregular heartbeats (palpitations).